KleenTech™ Solutions, the home of environmentally friendly products, is a cleaning products company. We make highly effective cleaning products for multiple uses and multiple industries. We come to the marketplace offering years of experience. Our products have been individually tested and used effectively in the marketplace, and our cleaning products continue to deliver outstanding results to our satisfied customers. We offer a variety of cost-effective cleaning products. We are committed to developing products that can be used by individuals; corporations; small business owners; restaurant owners; fast food operators; RV owners; marina owners; and automobile owners. Whether you are an individual buyer or a corporate buyer, we have developed our products specifically for your varied needs, and we greatly appreciate your business! Welcome to the Home of Environmentally Friendly Products! 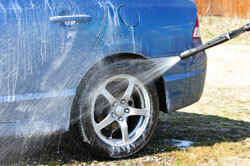 R.V Streak Remover is the only product our detailing shop will use because it works! We use The Mean Green Cleaning System as our floor cleaner and equipment degreaser. It does a great job and it is very easy to use and measure. Great cleaning product! We have been using the Extreem Green for a while now. This product has replaced multiple products. We are using it successfully as a cleaner, degreaser and for floor maintenance. This product is very versitle. Using this product and running it thru a proportioner has definitely saved us money. 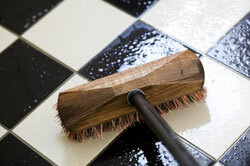 I have been cleaning carpets and tile, both residential and commercial; for over twenty years. Kleentech Solutions, Mean Green and Erase are the only products that I will use; Not only are they very effective and very cost effective but; they are also environmentally save. Today, that means a lot. Use them-you won’t regret it!